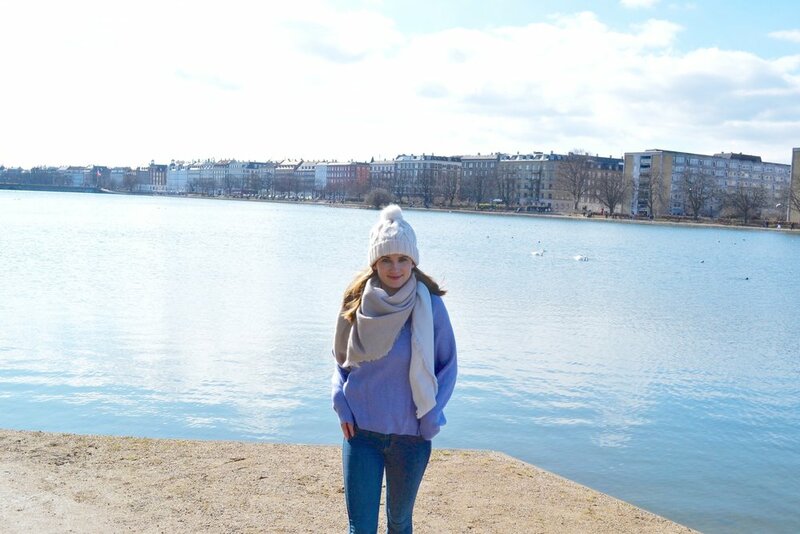 Just a 4 hour drive from Aalborg, we headed down to Copenhagen for the long Easter weekend. While it was FREEZING most of the time we were there, we more than enjoyed our visit with plenty of delicious food + bev. 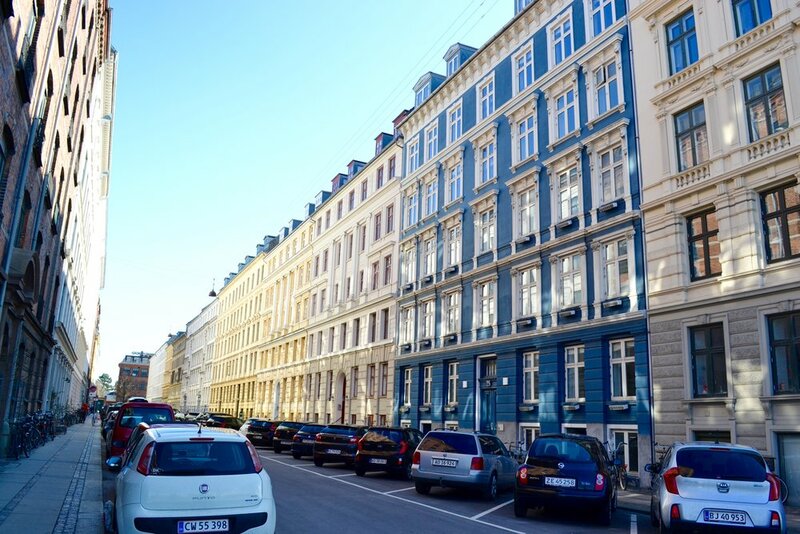 JD and I wandered through the city and found some amazing places - which is not hard to do in Copenhagen. Pretty much every restaurant, cafe and bar is designed with cozy details and warm vibes. After your cocktail at Bar Next Door, you can hop over to this Italian restaurant :) Their specialty is gourmet pizzas - just look at JD's chorizo, mushroom and rosemary pizza. YUM. They also have an all you can drink wine menu on the weekends ( yes, please!). A hipster coffee + brunch cafe along the Lakes with simplistic, warm and natural interiors. Just down the street from our airbnb in the Norrebo area, we stumbled into this restaurant for lunch...and, the burger had the tastiest seasoning. It. was. so. good. Simple wooden tables and chairs filled the space, and I fell in love with the warm interiors and "homey" vibe. Make a reservation or expect a wait - either way, try this place! It's a small, trendy and hip restaurant and the food has some serious flavor. 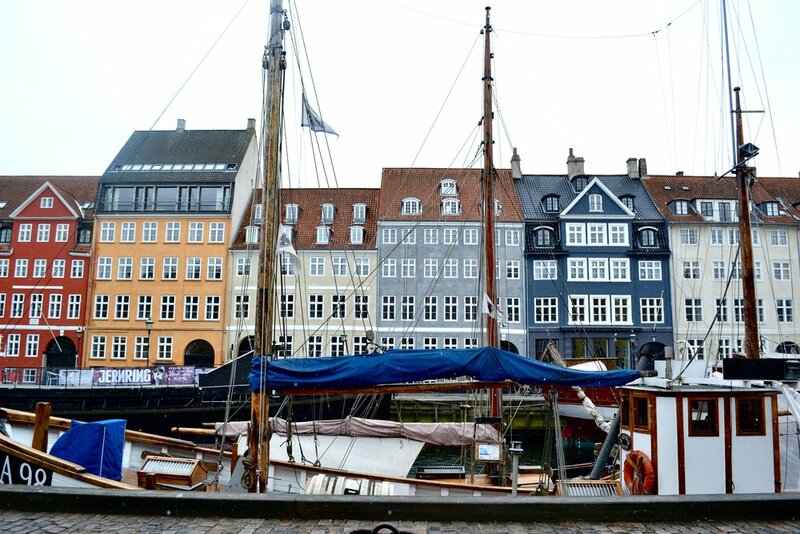 It's located in the Nyhavn area, which is a must see area due to the beautiful colored buildings and where the famous Danish fairytale writer, Hans Christian Andersen, lived. Hands down the best dinner we had during our visit. It is a little pricier, but worth the quality food + service! We started dinner off with some cocktails and apps :) JD chose the salmon tartar (which he raved over) and I had the roasted beetroots with goat-cheese (I too raved over ;) ). We both ended up ordering the flank steak with braised veggies and sweet potato puree in a rosemary sauce. If we go back, I would definitely get that dish again!